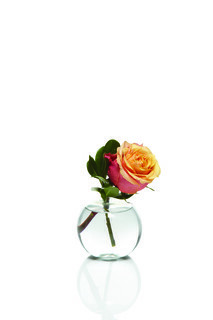 Set includes ten single stem bud vases using premium roses in assorted colors including orange, yellow, pink and purple. Florist arranged with a touch of greens. Sign up to receive news and special offers from H.Bloom.